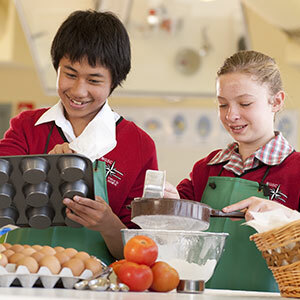 co-educational Year 7-12 campus located in the northern suburbs of the City of Greater Geelong. 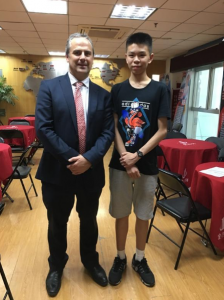 Our Director of the International Students Program closely monitors the academic progress and welfare of the international students and maintains regular contact with parents and guardians. 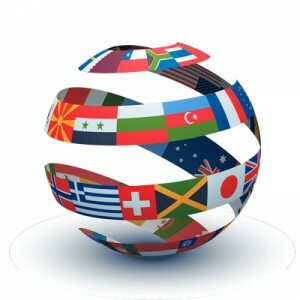 Before commencing their regular subject studies, international students may undertake an intensive English language program for at least 2 terms at the College’s English Language Centre. 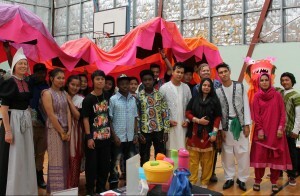 Nearly forty years of supporting students of various cultural backgrounds with their education, highlighted by one of its four key values of DIVERSITY. 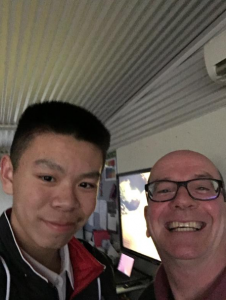 Read what some of our current International Students have to say about their time at North Geelong Secondary College and living in the Geelong area. Studying abroad is a very interesting thing. Fortunately, my father has an opportunity to be a visitor of Deakin University, which is in Geelong this summer holiday. Because of this, I am able to go to Australia to study for nearly a team. I first heard and came to Geelong last summer holiday, but I haven’t study there. 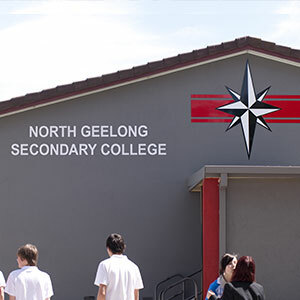 This time, I go to North Geelong Secondary College for study. Before I came there, I only knew Geelong is a city in Australia which has a very good location. 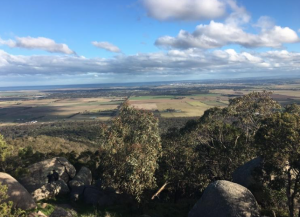 It is in a gulf on the South Coast of the country, and it’s also in the Victoria state that is called the Garden state and the Education state. But now I know the people there are more hospitable, the drivers there are more polite, the equipment there is more useful, and the air there is much fresher and clearer. Studying in Geelong is very easy if you do very well in English. Because of this, the most important thing about study here is to understand the teacher’s words and expressions of language. Now I’m looking forward to speaking English fluently. If you are a new international student who will study in NGSC and want to get some recommendations from me, I can only tell you that don’t expect that you can understand every word of teachers, learn steadily step by step, and pay more attention to English. 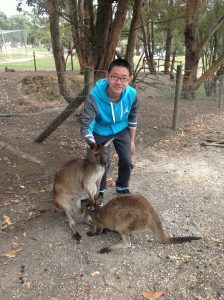 When I go back to China and study in my school, I’ll tell my classmates about study in Australia. I’ll suggest them to study in Geelong just because it has perfect location, friendly residents, amazing environment, kind teachers, and excellent schools. So why didn’t I choose the other cities in Australia but I selected Geelong? When I lived in China, the pressure of every senior high school students is very heavy. To finish my homework, I had to go to school at 6:50am and go to sleep at about 1:00 in nights. So I produce an original thought-go abroad to explore a new life which is both relaxing and I can learn some utile knowledge. In my opinions, I checked some cities and towns in Australia and learn about the information of cities. Among the cities, when I saw the beautiful sceneries and colourful cultures, I fell love in the interesting town. I was absorbed deeply by the environment and the enthusiasm of the people. A new journey for me has extended! With the curiosity and excitement, I got off the airplane and observed everything surrounding me. What a beautiful city! What a great way!With the tender sunshine, I saw the wonderful view in my sight. Cool and refreshing sea wind fanned my face, the feeling was like in the fairyland. The wide blue sea was like a big piece of mirror even can see all kinds of fishes were swimming. Geelong-a glamorous place. It takes too much invaluable memory to me. 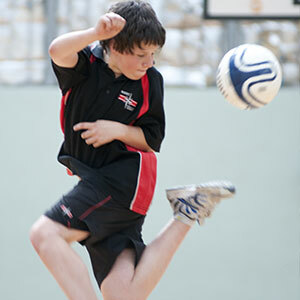 I am studying in North Geelong Secondary College and I can choose more types of classes which I am interesting. I have made friends with many people including the teachers here. They are always very amiable and if I feel boring and helpless I always make a conversation with them to release my pressure. 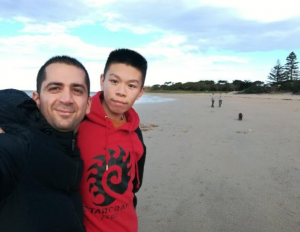 I still remembered that when I came to GEELONG initially, I even couldn’t speak with the other people mainly because my English basic was too weak and I didn’t want to talk something. When I was difficult to deal with the problems, there were too many people to encourage me to inspire my confidence and talk more with the others. I felt the care and warmth from my friends and determined to practice my English. Now, doing some sports with my friends is my favourite, meanwhile, practicing my English is still the most important assignment. Talking some difficult problems with other people, watching some interesting English movies can help me how to utilize and comprehend the grammar and the vocabulary. I always listened to the customs, life as well as history of Geelong. I love the sea scenery of Geelong and almost no any contamination. With the warm sunshine and blue sky, that is a great picture! Geelong is a very wonderful town! 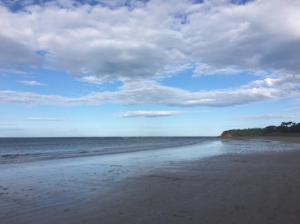 The location is very special because it is near to many interesting places and when I have time I,I can go to play with my friends and family. The simple and honest folkways are the other special traits. On the other hand, it is very near to Melbourne-the cultural centre of Australia. But Geelong has the unique quiet and it makes people very comfortable rather than the noisy of Melbourne. In Geelong, I can’t find any trouble in everyday life, only relax and happiness. Hello，I’m BoRui Deng. 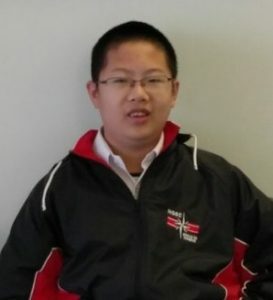 I‘m 16 year old and I come from China. Now I’m studying in the North Geelong Secondary College. 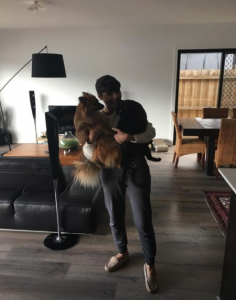 This is my “Australian parents”：Ali and Sef. Both of them are Iranians. They give me a good care. I also help them as I can. We became a family, not just a landlord and a student. The place which I am living is close to the beach. We have two cats and one silly dog (always brakes my clothes). When I got to the house, I was surprised the house was so nice. I ‘m very lucky to live with them. 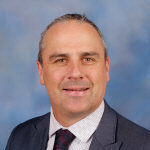 The main attraction for the North Geelong Secondary College is its teaching resources: good facilities, intelligent teaching methods, excellent teachers and caring for students. When I first come to school, I faced many difficulties, such as hard to understand what the other people said, strange classmates, different teach style and etc. Luckily, some students and teachers give me a hand. Especially Mr Dawson and Mr O’Connell, they are taking a lot of care to me and gave me many helps, like my parents. I am very grateful for them, never forget. Some people ask me Do I have any advice to future international students？Yes, I just have two prices of advice. First, don’t be shy to talk with other people. It’s the best way to practice your English and make new friends. If you have any problem that you can‘t solve, just ask other people, they will be glad to help you. If you don’t say anything, everyone will think you are fine. The another one is study hard, some international students become lazy after they come to Australia, because the school is easy and has more freedom than their country‘s schools. Never be undisciplined, it’s very important. Remember, you come to Australia for study. 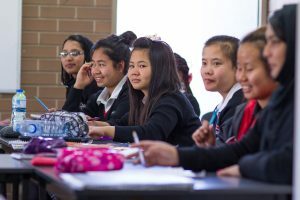 To learn more about being an International Student in a Victorian Government School, including application forms and information about fees, please contact the International Student Program (details to the right of the screen). Please contact North Geelong Secondary College if you would like more information about our education programs or about enrolling your child at North Geelong Secondary College.